In anticipation of Henry Flagler’s Florida East Coast Railway, In 1894 U.S. Congressman William S. Linton bought some land in what’s now Delray, naming the town for himself. Henry Flagler Delray Beach is a first-class resort destination and a diverse, vibrant, community situated on the Atlantic Ocean between Boca Raton and West Palm Beach. A small and intimate town with big city sophistication, Delray Beach is the place for art, culture and history. Delray Beach is home to more than 20 galleries and public art pieces, which are located downtown and in the Pineapple Grove Arts District, home to Artists Alley, where you will find working artists in their studios. Delray Beach serves as the entertainment hub of Palm Beach County, with restaurants, city venues, and more. As Palm Beach County residents ourselves, all of our movers at Lux Moving and Storage are active members of the community as well as dedicated movers of the West Palm Beach area. At Lux Moving and Storage, we are committed to your satisfaction 100%! 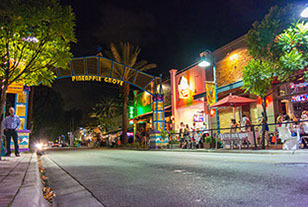 Named after the fact that pineapples are the primary crop of the area, Pineapple Grove is a popular place to visit for arts, shopping, dining, and more. Well known residences such as Pineapple Grove Village Condos & Townhomes and Seagate Residences are just some of the popular real estate buildings that count on us to move their residents in Delray Beach. 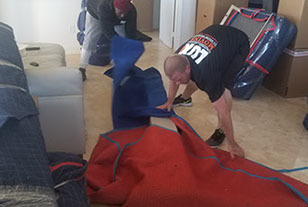 We are known throughout Delray Beach to provide moving services to both residents and business owners, with exceptional attention to customer satisfaction. We are always committed to providing you with stress-free moving services at a price that won’t break the bank. Servicing the Delray Beach area for over 10 years now, Lux Moving and Storage have come to know all of the 16 square miles of Delray Beach. We have left lasting impressions on the toughest customer critics. All over the city we continue to exceed customer expectations, making a standard practice out of our client’s satisfaction. Be one of many to have a truly great moving experience and reach out to us for your moving needs. Give us a call and see why Lux Moving and Storage is so highly recommended in the moving industry.